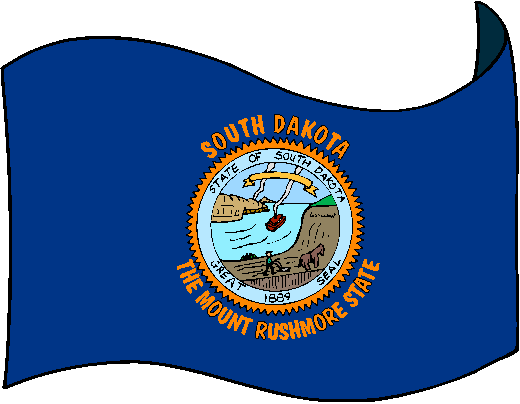 The flag of South Dakota shows the state seal surrounded by rays on a blue field. 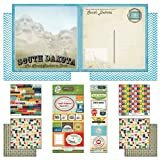 Encircling this are the words "South Dakota" (above), and the "The Mount Rushmore State" (below). The current version of the flag was adopted in 1992. The previous version of the flag contained "Sunshine State" instead of "The Mount Rushmore State".